Continuing their land grab across the Middle East, militants of the self-proclaimed Islamic State terrorist group have taken control of the hometown of former Libyan leader Muammar Gaddafi, the latest in their effort to expand into North Africa. "Every night they open fire on us," Mohammed Abu Shebar, a soldier with what remains of the Libyan military, told Reuters. "They are only active at night." Abu Shebar is stationed outside the Libyan city of Sirte, a major hub near the country’s center, and hometown of the ousted Gaddafi. Over the past four months, Islamic State fighters have occupied the city as a base of operations for spreading into North Africa. Libya’s current state of lawlessness has been well documented. The capsizing of a migrant vessel off the coast of Tripoli last month left over 900 dead and pointed to the broader crisis of thousands attempting the dangerous trek across the sea through the war-torn nation. The Libyan government has been reduced to two competing halves. All of this chaos rests on the shoulders of the United States and the NATO-led bombing campaign which resulted in Gaddafi’s death. Just as IS sprang to life in the confusion that came after the fall of Saddam Hussein and the Syrian Civil War, the terrorist group has managed to make significant inroads into Libya, as well. Through fortified positions in Sirte, Benghazi, and Derna, the group has managed to weasel its way between the split government. 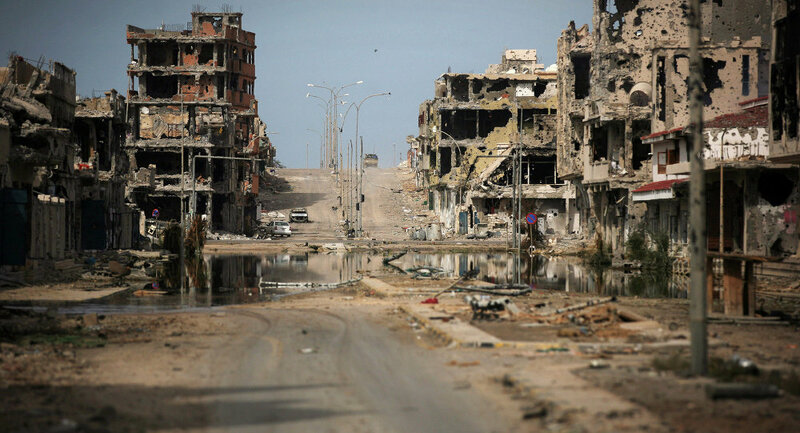 Since gaining control of Sirte, militants have gradually pushed back forces from the government based in Misrata. “They are now shelling the power station so we’ve moved back the last checkpoint for civilians,” Commander Yuhami Ahmed told Reuters. Residents inside the city have also described the worsening conditions. Sirte’s power grid is down more often than not, and many report having to haul water from shuttered businesses on the city’s outskirts, since they no longer have access inside their homes. 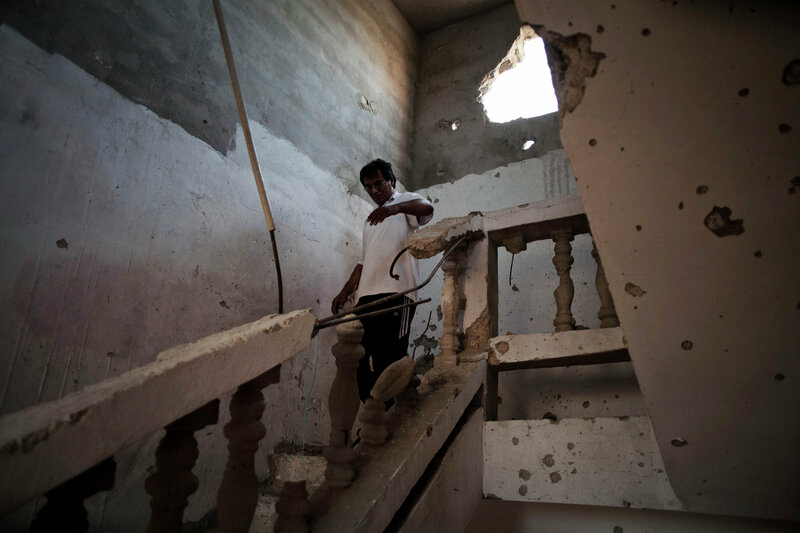 A Libyan man walks through the stairs at his house affected by heavy shelling in Sirte, Libya. The entire city is being held by little more than 100 fighters. 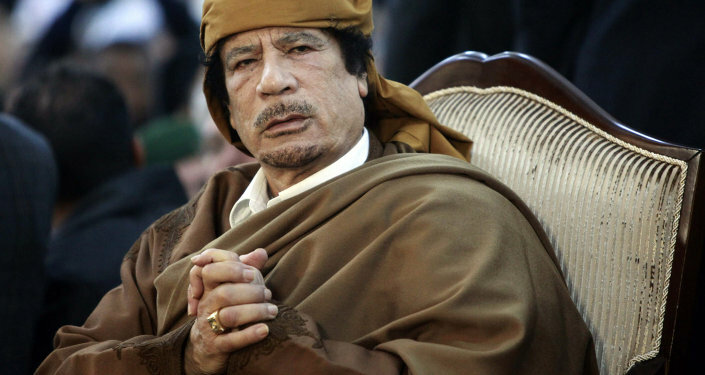 Part of their strength comes from Gaddafi loyalists, unhappy with both of the two warring governments. But through their territory seizures, IS has also managed to get its hands on heavy military gear, much of it either left by the United States for Iraqi security forces or abandoned altogether during the withdrawal. After capturing the Iraqi provincial capital of Ramadi on Sunday, the group snatched a military stockpile big enough to supply a small army. Pentagon spokesman Col. Steve Warren estimates that "a half dozen US tanks were abandoned, a similar number of artillery pieces, a larger number of armored personnel carriers, and about 100 wheeled vehicles – like Humvees," were left behind. To overcome any mechanical issues the equipment may face, IS has begun running advertisements in the pages of Lebanese Newspapers, seeking personnel who can "operate and maintain US military equipment." After capturing the ancient Syrian city of Palmyra on Wednesday, estimates suggest that the group has control of over 50% of Syria, as well as vast stretches of Iraq. 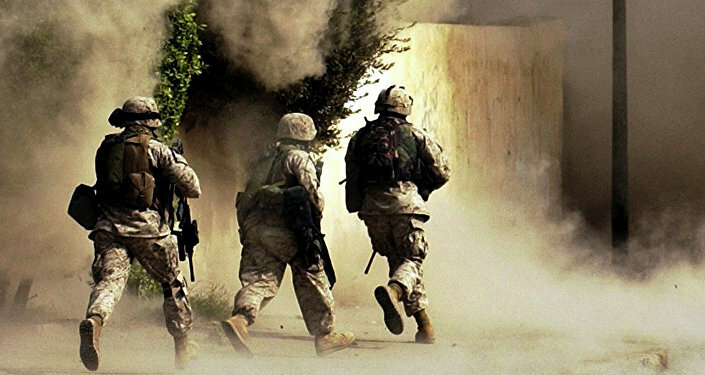 With a growing footprint in Yemen, and a full stockpile of military hardware courtesy of the United States, the global community may have to rethink its strategies in dealing with the terrorist threat. "This needs to be a truly international effort," Dr. Omar Imady of the University of St. Andrews told Radio Sputnik. "I think that the idea that the US can do this alone, you know, does not work."